Local SEO (search engine optimization), is a specific kind of online marketing done to enhance your online presence locally. It is an effective approach to effectively boost your businesses/websites existence in a specific region you which to target. For example if you have a restaurant in Laurel, Maryland (MD), and you would like to show up in search engines when people in the area search for “restaurants in Laurel Maryland”, then you would need to devise a local SEO plan that works. 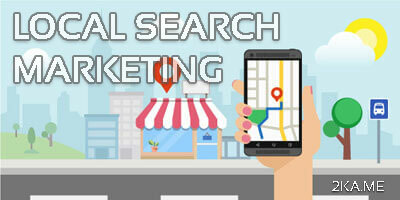 Local Search Engine Optimization enables you to place you businesses on various search engines and marketing platforms. This approach enables your business to be seen by potential local customers when they are searching for anything related to what your business offers. This method uses a wide range of strategies to rank your website on major search engines such as Google, Bing and Yahoo. As well as getting your website listed on the top business directories like Google My Business, Bing, Yelp, Four Square, and more. Millions of local customers use the internet every day to search for any and everything. So why not invest into local SEO and give your business the edge it deserves by taking advantage of this niche market. With this strategy you will guarantee that when any customer in your geographic area searches for a certain keyword related to your business will be among the top to show up. I offer a range of local SEO packages that can help your business grow and flourish locally. With my packages you will receive a detailed report in the beginning giving you a full review with recommendations of what you can improve within your website, as well as a full analysis of your competitors and potential untapped opportunities. I will also include a detailed report of every step taken to improve your local presence when I have finished. If you would like to see the packages offered in more detail please check my Local SEO Packages. PreviousPrevious post:How to apply Local SEO to your Business.